Winter NAMM 2009 sees the launch of Focusrite's first Guitar FX VST/AU Plug-in suite; the result of a collaboration between Focusrite and Overloud. The Focusrite Guitar FX Suite provides eleven VST/AU plug-ins which include five of the world's finest guitar amp models and four distortion pedal effects, all courtesy of bespoke Italian software company 'Overloud'; experts in the field of accurate Guitar Amp modeling. An attractive 'Hot Tuna' guitar tuner and 'Smart Hum Remover' are also provided. 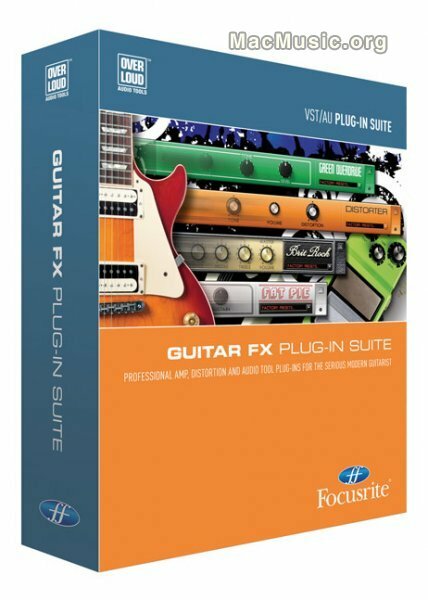 The new Focusrite Guitar FX Suite will be available worldwide in January 2009 from a selection of pro audio retailers worldwide. Contact your local distributor for further details.